Conditions tonight certainly seemed much better as only one game was affected by the weather recently and we have some Thursday results to share. 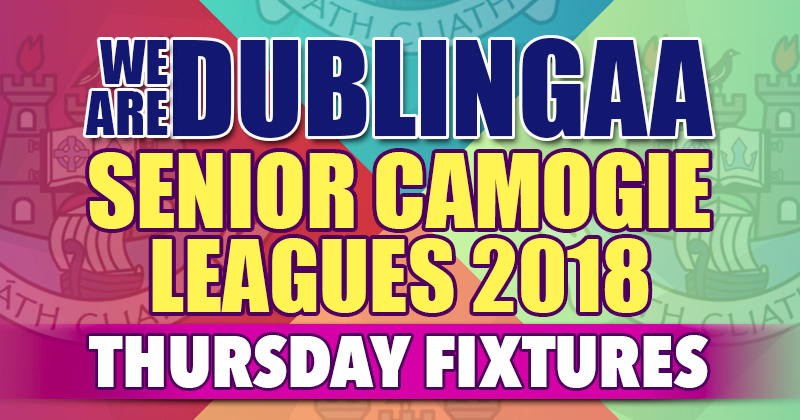 Nine games played from ten in total with a win for Na Fianna and a draw between St. Brigids and Lucan Sarsfields in Senior 3. There were also wins for Naomh Peregine, St. Vincents and Naomh Padraig, with a draw between Whitehall Colmcille and Naomh Olaf in Senior 4. Finally Raheny, Faughs/Celtic and St. Oliver Plunkett Eoghan Ruadh all registered wins in Senior 5. There’s a very strong possibility that some of the affected games since the beginning of this year’s leagues may be played out over the weekend and if that;s the case we’ll bring you details as we get them. 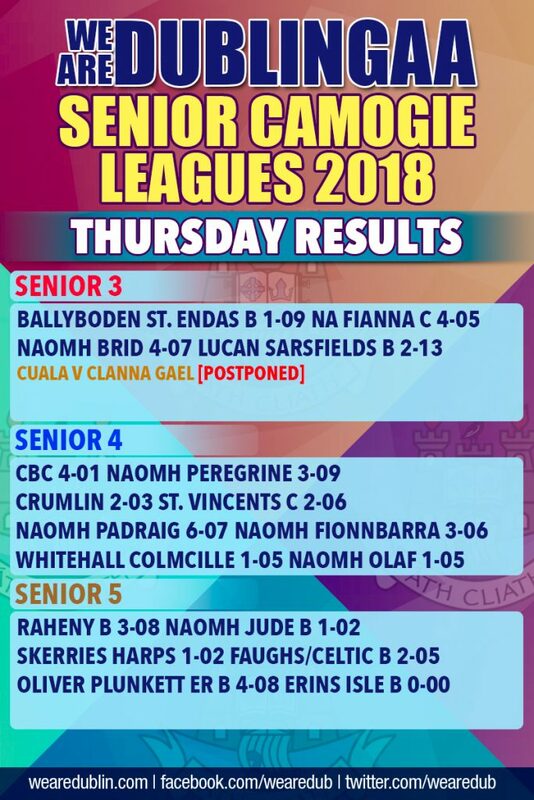 For now here is confirmation of all tonight’s results in Senior 3, Senior 4 and Senior 5. We’ll see you all here for Round 3 which gets underway this coming Tuesday, April 20th.